Adding your business to LocalGolfSearch.org is quick, easy, and absolutely FREE! Complete the two steps below to be listed in our directory of qualified professionals permanently, that's it! Copy this small piece of code to the homepage of your website (or ask your webmaster to do it for you). It can be placed anywhere on the page. By doing so you will add a little icon to your site indicating that you are a star professional on our website. This is a required step in order to have your listing added. Enter information about your business. Please note that we review all submissions before we add them to our website. This may take up to 1 or 2 business days. We will email you a confirmation once your business has been added. Don't forget to have your webmaster add the piece of code (listed above) to your website! 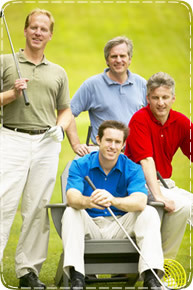 Local Golf Search .org does not guarantee the accuracy or timeliness of any information on this site.